This photo is a nice overview of much of the Birdcage Panel. I really like the intriguing red and white figure that seems to be flying above all the other figures here. 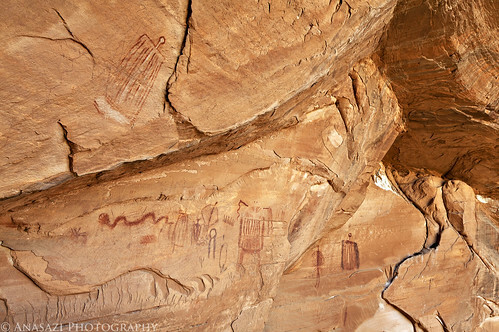 There are many unusual and interesting pictographs and petroglyphs located at this site. I enjoyed visiting and exploring the area.